Why would anyone want to put up a fake Google+ profile picture? If a business owner or business put up a fake profile picture it would certainly create a reason for mistrust. I know I wouldn’t do business with someone who was lying to me, would you? Many Google+ users have been reporting frequent notices about new followers that they don’t know and appear to be attractive young women. False accounts are easy to identify with minimal profiles and no posts. Why create a false account or false profile picture? We don’t know it’s for some unknown purpose, but how do you know if it’s a false account? Do you have a notice that someone is following you that you don’t recognize and they appear to have a reasonable amount of followers and maybe they have some what appear to be legitimate posts? After viewing their profile if there doesn’t seem like much to go on or maybe you just want to know more about the person you are doing business with – use their profile image! This is a great use for Google’s new image search. Just drag the profile picture into the image search query field and Google will identify its best guess for the image. If you’re doing your homework on lice treatment companies in Virginia Beach and want to see if a company is being truthful go to their Google+ profile and check out their profile image! Happy Halloween from the staff at Let’s Be P.A.L.S and remember let your little monsters enjoy their day and comb for prevention! Is verified in Google Plus in Virginia Beach – Well, because the owners live, grew up in & work in Virginia Beach and take pride in servicing our local community! Join us on Google Plus and add us to your circles. If you aren’t on Google Plus or it seems too confusing or otherwise you just aren’t into it – you should be! Rank My Website a local Virginia Beach digital marketing company and #VA can help with all your social media marketing needs. They specialize in helping small businesses get optimized like Seashore Bikes & Golf Cart Service, Dr. Margie Corney and many others. Other Head Lice Treatment companies might service Virginia Beach, but they aren’t locally owned and operated. Read about the Benefits of Doing Business Locally. Here’s how to tell if a local business is Google verified in your area. See the screen shot below. Next to the name of the business is a badge with a check mark if you scroll over it a pop up appears that says “Verified local business“. The profile below for Margie Corney is a personal profile and personal profiles do not have to be verified and you won’t find the verified badge on them. What if someone puts a false name or a business name on their personal profile? 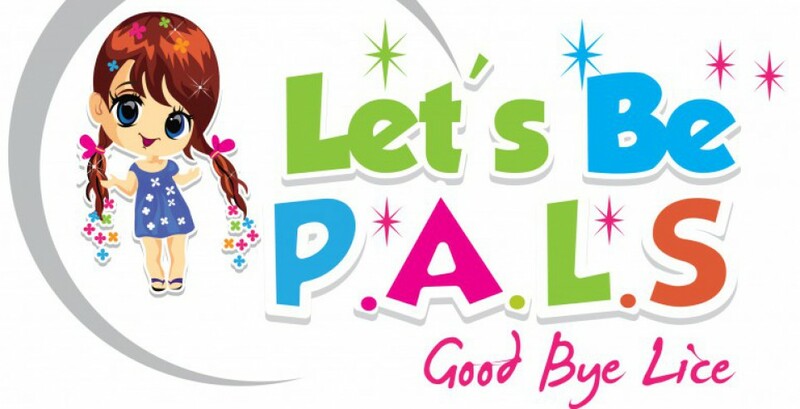 At Let‘s Be P. A. L.S (Pros Against Lice Service) It’s a message we hear a lot. We always try to answer our phone but in the event that all of our lice technicians are out on Head Lice treatment calls a messaging system takes the call and “We have Head Lice – Heeeelp!” is one of the most heard messages we receive. We listen to the messages with compassion and empathy. There are all kinds of phone personalities but always a hint of anxiety and that’s normal. Head Lice can bring even the strongest person to their knees. I was combing my hair out after an appointment and thought I saw a louse in the comb and I actually had a little gasp of shock where I lost my breath for a moment. I’ve been combing head lice out of peoples heads for over 10 years and have had cases where 50 or more lice/eggs came out per comb swipe. 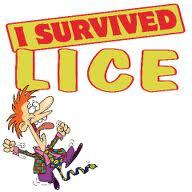 Head Lice don’t phase me, I just like to help people get rid of them, but when it was my OWN head well the reaction was instinctively different. The shock factor automatically took over. I went into super charge reaction mode. So not only do I know what it’s like to have a child with head lice and battle it for months, I’ve also experienced (for a very looooonng moment) what it felt like to think I had lice myself. I can’t really explain why the initial reaction was so shocking, but I know that it was and I can truly understand where Moms are coming from when they are looking for help with head lice. You aren’t alone in your battle against head lice. Summer & Fall are head lice season. 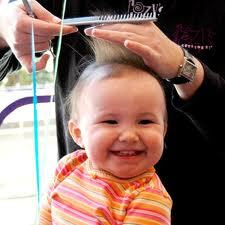 Download a money saving coupon at Head Lice Season for head lice services in Virginia Beach. Join Our Group – Can We Talk – Lice for helpful hints/tips and just to talk with people going through the same experience as you. It doesn’t appear on your timeline or any where else. It’s a private/secret group and a safe place to talk about head lice. Here’s a head-scratcher (ok, there’s a little pun intended): how can something so tiny create such massive misery? Minuscule though they are, head lice still can wreak months of havoc on a household. While lice have a high ick factor, the bugs themselves are fairly harmless. They don’t carry diseases. They just really gross most people out. We know having head lice can be very stressful for Moms & Dads, but it can be stressful for the kids too! They actually seem to take it a lot better than Mom really, but having to sit through a nit picking process can be tough. 3) Pipe cleaners. For the kids who has to move his or her hands these are a life saver. You can mold them into anything you want. You can make jewelry, chains, robots etc. 4) We love the question game. It’s super simple. The asker quick fires simple questions to the kids. Would you rather be a mouse or an elephant? What is your is favorite fruit? Would you rather be a fairy or a princess (don’t say this to the boys – they get mad)? Bubble Gum or Berry toothpaste? Top 3 ice cream sundae toppings? Before they know it they are all finished siting still and can go play! 5) I Spy. It’s a classic. Start off the game by picking an object in the room and saying “I Spy with my little eye something…blue” and then everyone takes turns guessing what is spied. The winner of the round chooses the next object. It’s best if you incorporate some help to get some of the games rolling. Nit picking is a tedious process and it takes some concentration. So if you are the nit picker you’ll need help to play 4 & 5. We bring a treasure box that the kids can pick from when they are done (if they are good – of course every child gets to pick – we think they are all good!) and they really look forward to it! We see Mom’s & Dad’s spoil them while they are going through this tedious process, they get candy they don’t usually get to eat or soda they don’t normally get to drink, some get games on their wish list and the list goes on…it’s endearing and if you need help we want to be the gift to Mom & Dad. Call Let’s Be PALS if you’re in the Virginia Beach area and find you need help with head lice treatments – we want to spoil you!